The “somewhere” became the Studio Arts for the Dancer school in Knoxville, TN, where she studied through sixth grade. After a few breaks, she resumed training at the Angela Floyd School. 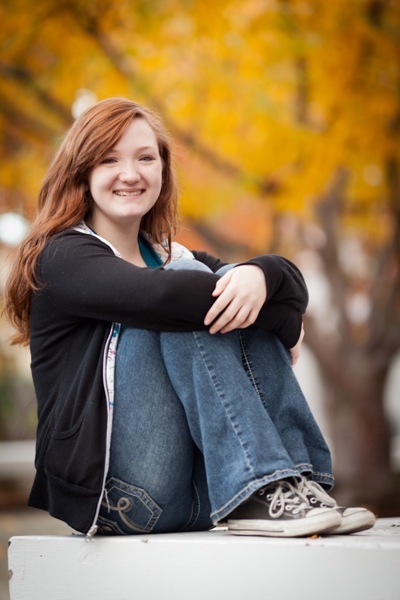 Just prior to her freshman year, Madeline’s family moved to Menlo Park. She took another leave from dance, returning last year to classes at the Menlo Park Academy of Dance. “They teach Royal Academy of Dance and that is a different method than what I’d been taught before,” she says. Madeline is now further resolved to pursue dancing. She continues taking classes and loves her advanced class with Michael Lowe. “He just sings the step!” she says. She’s also going to apply to a summer intensive with a dance company. “Getting this part and appearing in the production has made me think I can actually do this professionally, which I think is what I always wanted to do,” she says. ‘Twas the Night Before Christmas, presented by Dancers Repertory Theatre and the Menlo Park Academy of Dance, will have six performances, at 1:00 pm and 4:00 pm on Sunday, Dec. 4; Saturday, Dec. 10; and Sunday, Dec. 11th, all taking place at the Woodside Performing Arts Center. Tickets are available online.